Ashton R. Thompson, Hoksina Waste (Good Boy) was the beloved son of Crystal L. McKay and Vance James Thompson Sr. He was born in Devils Lake, ND, on October 7, 1997. He began his journey to the Spirit World on Sunday, October 28, 2018 due to a car accident. Ashton attended Four Winds Community School in Fort Totten, ND. Throughout his years, he was active in basketball and had joined in grade 5, in which he was part of the Wood Lake traveling team up until 9th grade and continued high school basketball. In 2016, Ashton and his team, the Four Winds Indians, became State Champions. He then graduated from Four Winds High School, class of 2017 in Fort Totten, ND. Growing up Ashton was a very simple guy, he loved playing basketball and enjoyed X Box and PS 4 gaming. He also had a part time job at Tokio General Store. He loved spending time with his baby boy, Carter (his pride and joy). Ashton will be missed by many for his unique personality, his loving kind heart and his bright smile. He is preceded in death by his grandfather, Richard McKay and Philip McKay Sr., and other relatives. 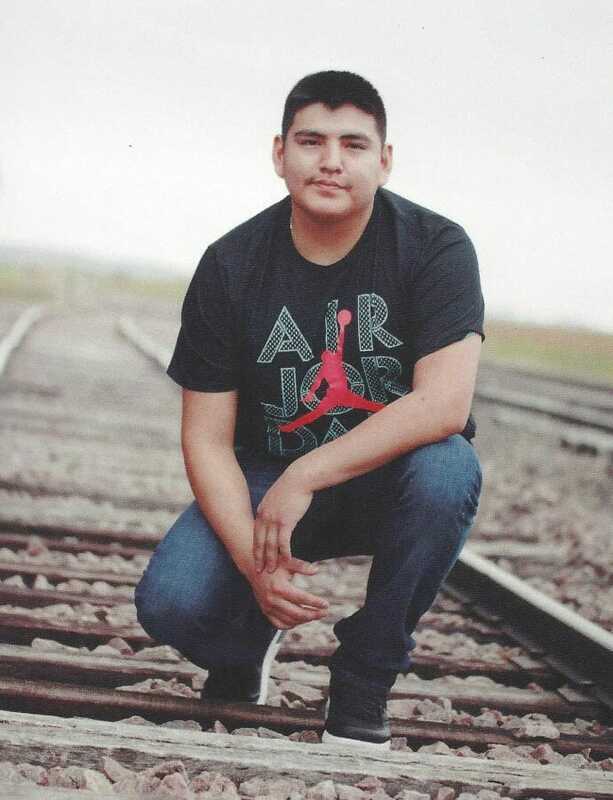 Ashton will be laid to rest below his grandfather at the Saint Jerome Cemetery in Crowhill, ND. Ashton is survived by his parents, Crystal L. McKay and Vance J. Thompson Sr.; son, Carter Delwayne-Richard Thompson; grandmothers, Millie McKay, Violet Smith, Patty Christianson and Stella Cavanaugh; great grandfather, Solomon F. Sherman; four brothers, Walter, Vance Jr., Jonothan and Sage Thompson; two sisters, Neela James and Mae Thompson; aunts, Lisa Burdick, Ashley McKay, Gina Wachsmuth; uncle, Jaime Burdick Sr.; friend, Dennis Smith; special friend, Johnna Good Iron; nieces, Athena Acevedo and Ameriah Grady-Burdick. Friends wishing to join the procession from New Rockford to the Wake may gather at St. Jerome’s Crossing, rural Ft. Totten, prior to 4:45PM on Thursday. Funeral Service will be held Friday, November 2, 2018, at 10:00AM in Seven Dolors Catholic Church, Fort Totten, ND. Burial will be held at the St. Jerome’s Catholic Cemetery, rural Fort Totten, ND. Any drum group is invited. Takoja you made us proud when you and your team took us to state, also takoja kunsi will miss rest in peace takoja why why we will never know why. Crystal you and your family are in my thoughts and prayers. God bless you my friend. RIP Ashton, I sure enjoyed watching you play ball and still remember the night you guys won the state tournament. Your passing is heartbreaking, Condolences to your family, especially Millie and Violet, Grandma’s always hurt a lot. So from my family, (Nasbah, Nelenah and Birdie GreyEyes) I wish you a good journey! So sorry for your loss! Our thoughts and prayers are with you! Our sincere sympathies and condolences!